Page added in February 2019. Photos taken with Canon Powershot SX 700 HS in May 2016. 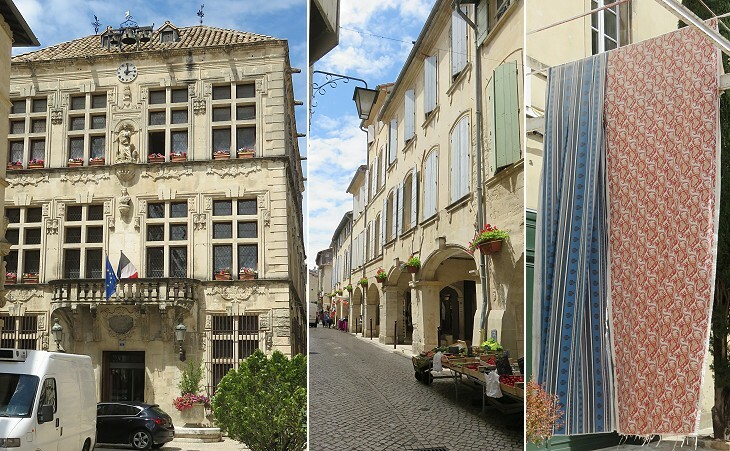 Tarascon is a town of about 11,000 inhab. Etymologists have been bold enough to derive its name from the Greek "turbazó" (to disturb) connecting it with the tradition of a dragon called Tarasque, which once upon a time infested the borders of the Rhone, preying upon human flesh to the great terror and disturbance of the inhabitants. They were at length delivered from the pest by St Martha, sister of Lazarus, since adopted as the patron saint of the town who conquered the monster, with no other weapon than the Cross and made him a prisoner with her girdle. Everybody has heard of Saint George and the dragon and there are several towns in France where some strange figure is carried about on certain festivals in commemoration of the delivrance of the inhabitants from some horrible monster. The tarasque, according to Gervase of Tilbury, the most ancient author who mentions it and who wrote about the beginning of the 13th century, was destroyed by Saint Martha and was a serpent of the leviathan kind which lived in the Rhone between Arles and Tarascon, and devoured those who descended the river. Saint Martha who is mentioned in the Gospel caught it in her veil and subdued it. 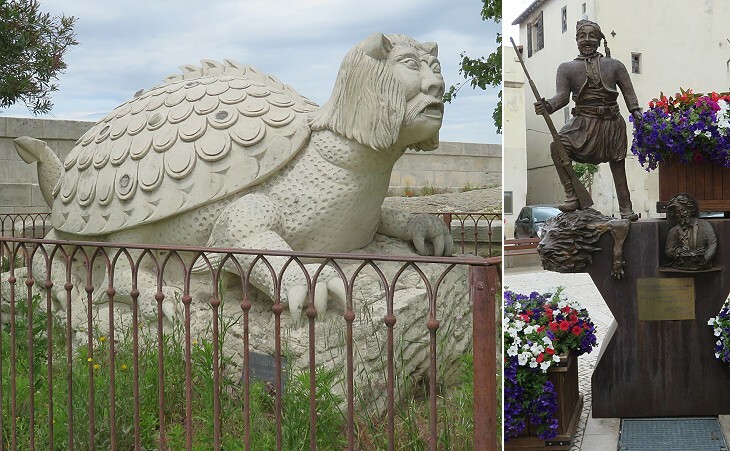 The grotesque figure which represents the tarasque is carried about the town of Tarascon every year on Whitmonday and on the feast of Saint Martha. It is made of wood and represents a dragon; the body is formed of hoops covered with a painted calico and has on its back a sort of buckler thick set with strait horns. On the sides of this monstrous figure are handles at equal distances for carrying it more conveniently. On Whitmonday the tarasque is committed to the care of eight clever vigorous young men; they wear white shoes and stockings; on their head is a muslin cap and on their breast a shield charged with a figure of the animal; they carry the tarasque as high as their waist, and direct its motions so as to express rage and fury; sometimes they run violently then stop, then turn round abruptly prying out "La voulen may nostra tarascou" (We will always keep our tarasque). In order to augment the terror which this monster is meant to inspire on this commemorative festival, a man placed in the body of the animal makes him vomit young serpents by the eyes and mouth. Those whom curiosity draws too near often receive violent contusions; the inhabitants of Tarascon then seem enchanted with the prowess of their monster, far from feeling any compassion for those who are hurt; they push them about and hurt them still more and the people transported with joy make the air resound with these acclamations "A qua ben fe, a qua ben fe la tarascou" (Well done, well done the tarasque). Imprudent persons and strangers who are ignorant of this savage custom run the risk of their lives; many have been killed and the procession of the tarasque always occasions some accident. Today Tarascon is more easily associated with Tartarin, the hero of an 1872 novel by Alphonse Daudet. Tartarin, similar to his fellow citizens, is mad for hunting, an inheritance from the ancient dragon-hunting days, and ends up by killing a tamed blind lion. The Castle was founded in 1400 by Louis II, Count of Provence, Duke of Anjou and claimant to the Kingdom of Naples. In 1380, during the Great Western Schism, Joanna I, Queen of Naples and Countess of Provence, appointed Louis I of Anjou as her heir; the decision was supported by (Anti)Pope Clement VII, but was declared void by Pope Urban VI who stated that the Kingdom of Naples should go to Charles of Durazzo, Joanna's cousin. In 1383 a military expedition led by Louis I was defeated, but his son Louis II managed to take possession of the Kingdom of Naples in 1389 and to hold it until 1399. 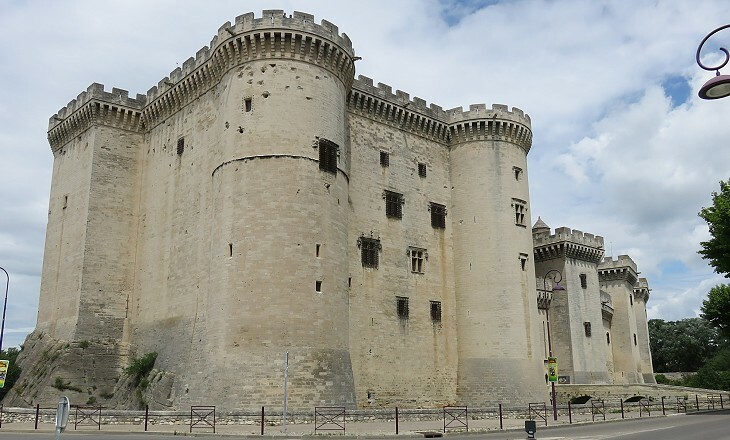 The imposing castle he founded at Tarascon, a town near Avignon, at the time the residence of (anti)Popes whom he supported, was meant to be a visible sign of his power in Provence. It was completed in 1435. 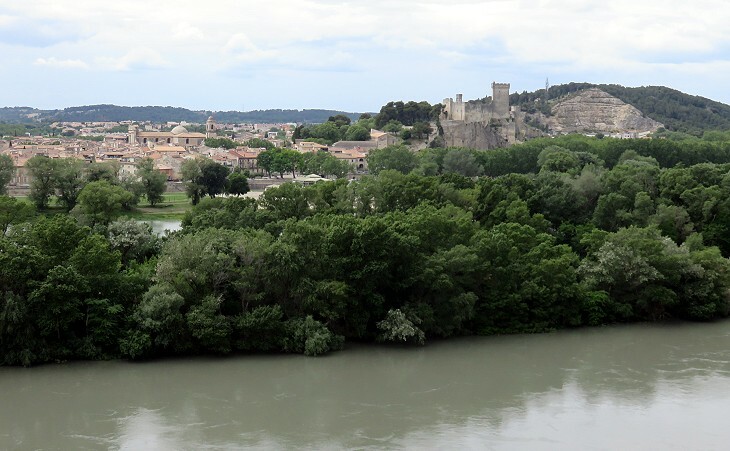 The River Rhône marked the border between Languedoc, a province of the Kingdom of France, and the County of Provence; Louis II thought better to protect his side of the river from attacks coming from Beaucaire, although he was a cousin of the King of France. The Castle is also known as Le Château du Roi René with reference to René I, son of Louis II. He was named heir to the Kingdom of Naples by Joanna II, the last of the Durazzo. In 1438-1442 he fought in Southern Italy to affirm his rights to the Neapolitan throne, but was defeated by King Alfonso V of Aragon. In 1466 he was offered the Crown of Aragon by the Parliament of Catalonia during a rebellion against John II of Aragon, brother of Alfonso. His attempts to actually take possession of that kingdom failed and in 1472 the rebellion ended. 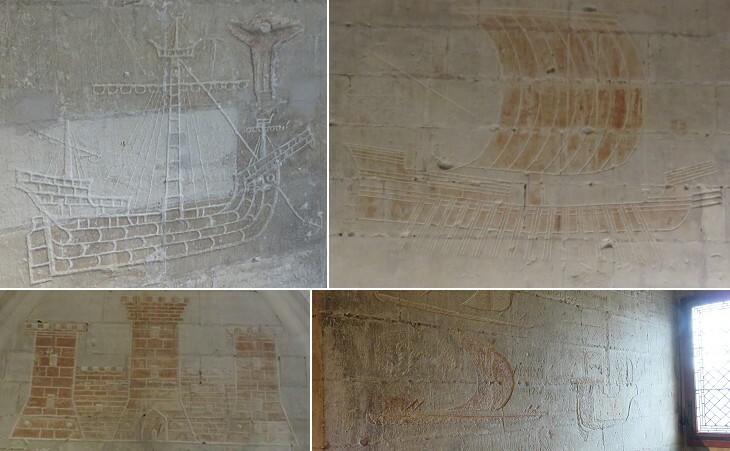 During the war a number of Catalan sailors who supported John II were imprisoned in a gaol at the top of the Castle; their graffiti are a catalogue of the ships of the time, although some of them might have been added by other prisoners at a later time. René wrote a long poem about the idyll between a shepherd and a shepherdess. 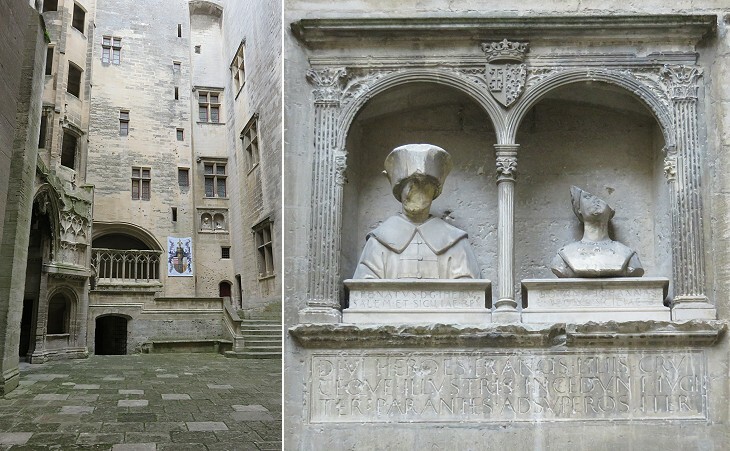 He was a protector of the arts (see an altarpiece he donated to a church of Avignon). His deeds earned him the appellative of Le Bon (Good) Roi René from his subjects of Provence. In 1480 King René passed away. Charles IV, Duke of Anjou, his nephew and successor died in the following year and he bequeathed Provence and his claims to the Kingdom of Naples to King Louis XI of France, whose son Charles VIII in 1494 led an army to the conquest of Naples and in doing so he began a series of eleven wars between France and Spain for the hegemony over Italy. The Castle of Tarascon lost its importance, both from a military viewpoint and as a royal residence. It continued to house a garrison, but mainly because it was turned into a military prison and it was not upgraded to the requirements of cannon warfare. In 1840 the Castle was enlisted among the monuments of France warranting protection, but it was not until 1926 that the prison was closed and the military left it. In 1933, after a major effort to bring it back to its assumed XVth century aspect, it was opened to the public. Parts of wooden ceilings which were decorated with fantastic animals were discovered in the main halls of the Royal Apartments. Some of the premises of the Castle house exhibits which come from other historical buildings of the town, including a fine collection of drug jars. 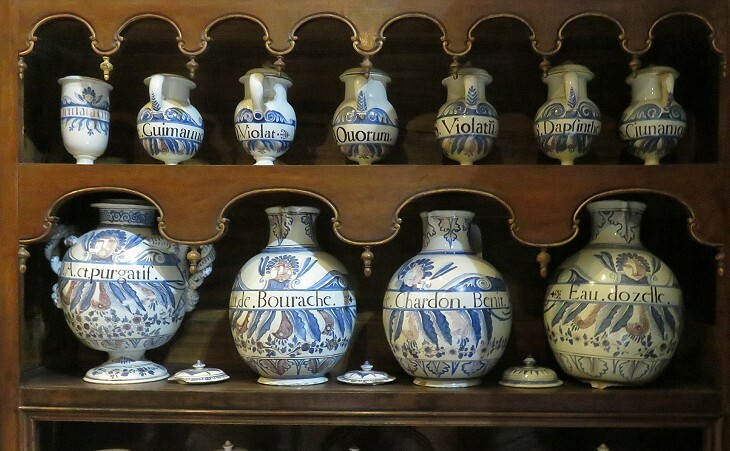 They were made in 1690-1743 at Montpellier, a town in Languedoc, which was renowned for its faience factories. 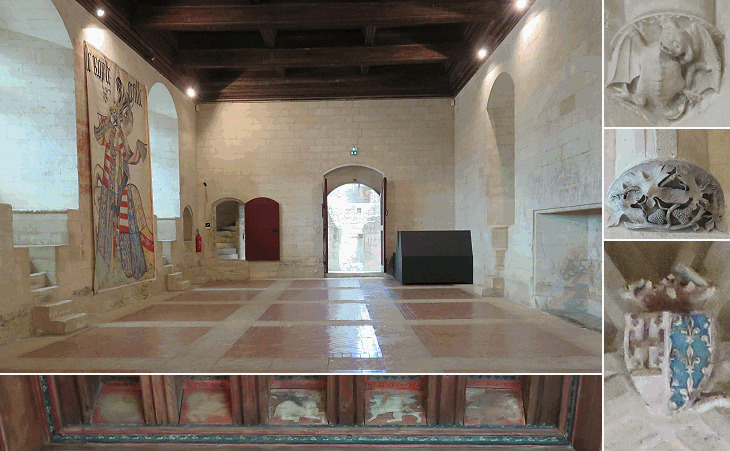 In addition the Castle often houses temporary exhibitions. 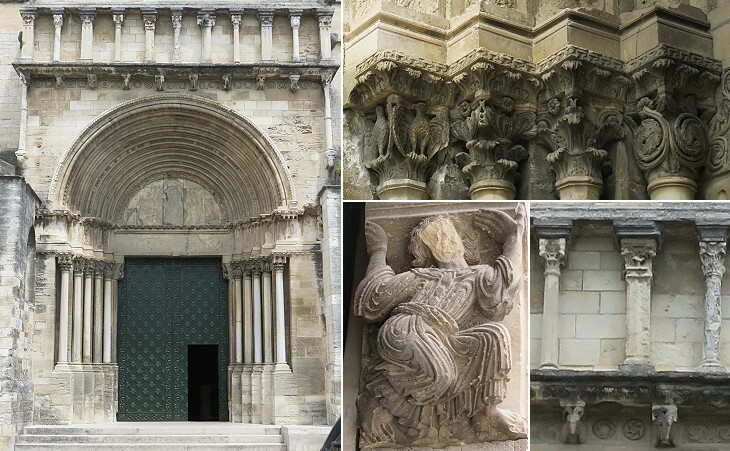 Romanesque art in Provence was directly inspired by the many Roman monuments which were visible in the region, although not at Tarascon, which according to Strabo was a very small town in the early Ist century AD. Its Forum perhaps stood on the site where the Castle was built. You may wish to see two Romanesque churches at Tuscania having a gallery of small columns above the portal; these galleries usually decorated apses (e.g. at Rome and Anagni), rather than portals. The church was enlarged in Gothic style, but it does not have the vertical thrust of that type of architecture. It has a large crypt where the tomb of St. Martha of Bethany was worshipped. 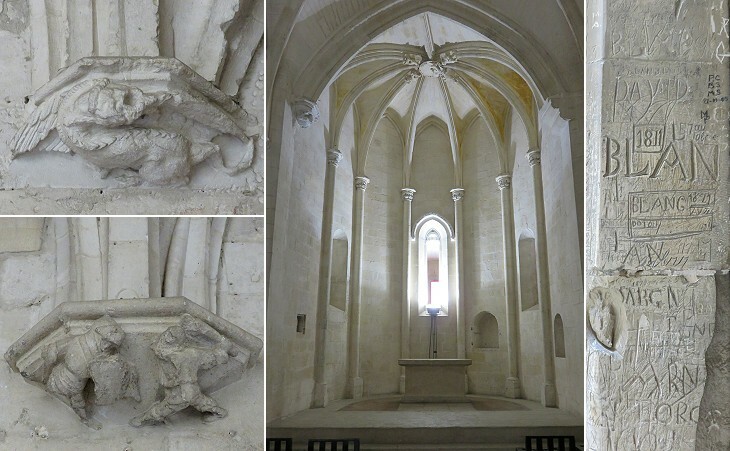 Similar to almost all historical churches of France it was spoiled of its decorations during the French Revolution. The tomb was made in 1458 at the initiative of King René. 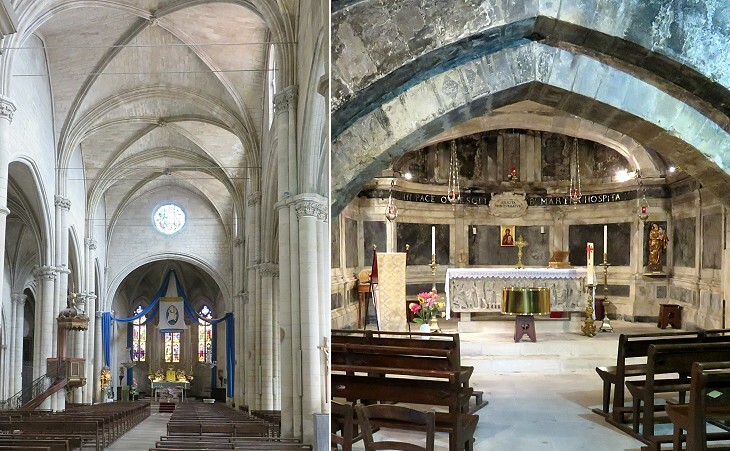 The statue to the left portrays St. Lazarus, brother of Martha, who became the first Bishop of Marseille (but at Larnaca they tell a different story). He is portrayed also on the box of the sarcophagus which shows also St. Mary Magdalene carried to Heaven by four angels and St. Martha with the tarasque. 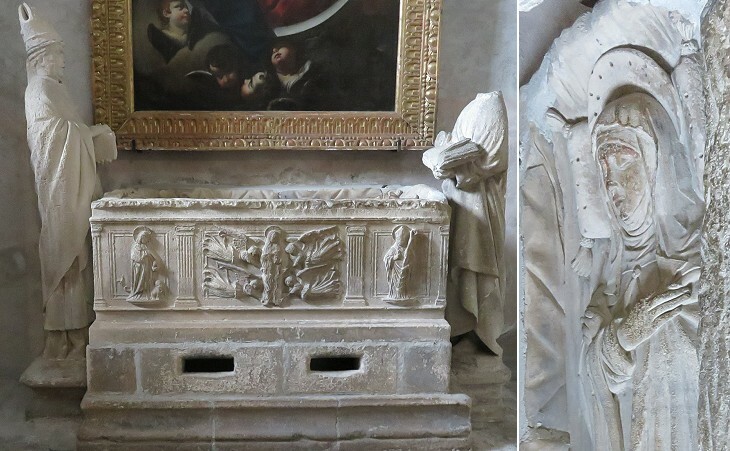 According to tradition in 500 Clovis, King of the Franks, prayed at the tomb of St. Martha and his example was followed by many other Kings of France, by some Popes and even by Napoleon Bonaparte in 1793, when he was still an obscure captain in an artillery regiment. Jean de Cossa (It. Giovanni Cossa) was a relative of (Anti)Pope John XXIII who supported the claims of Louis II of Anjou to the throne of Naples. In turn Jean fought for King René during his short tenure of the Kingdom of Naples and followed him to Provence in 1442. He was granted fiefdoms and he was appointed seneschal (highest officer) of René's court. 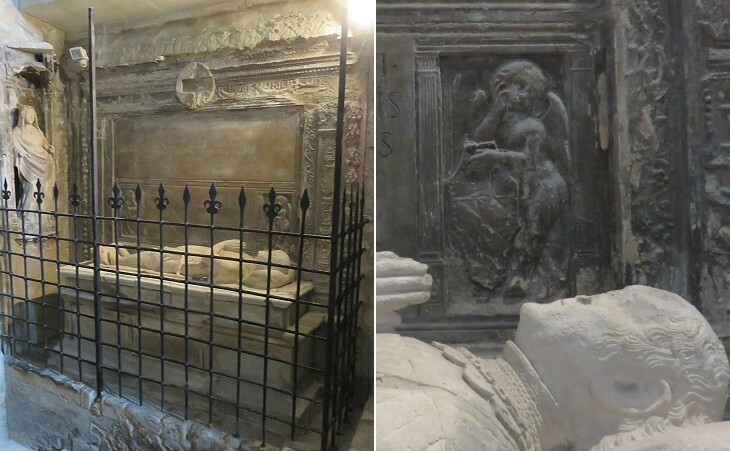 He died in 1476 and his tomb is attributed to Francesco Laurana, an Italian sculptor who worked also at Palermo. 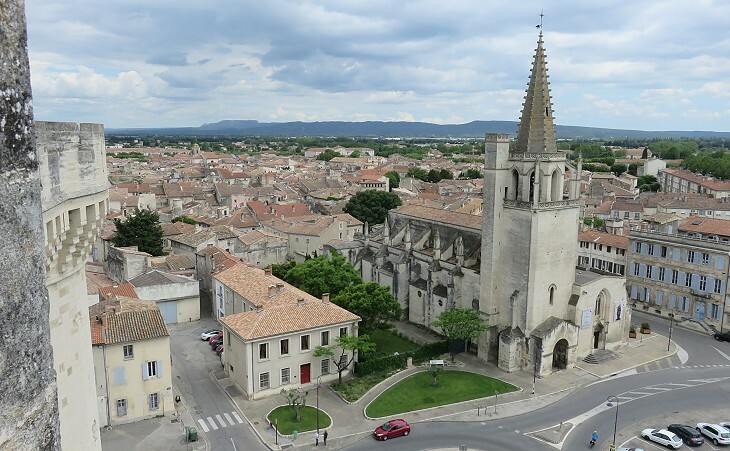 Today Tarascon has some 15,000 inhabitants, so its historical centre has retained a provincial aspect and it is still surrounded by parts of its walls. 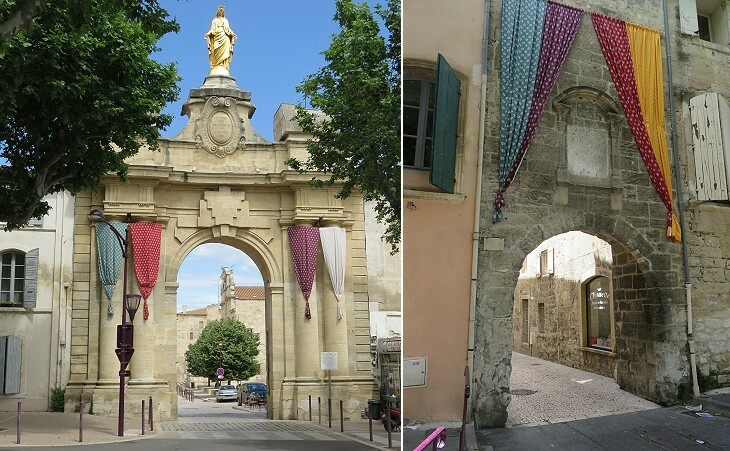 (left) Hotel de Ville; (centre) a street with porticoes; (right) "Indiennes"
A white stone characterizes many of its buildings and long porticoes protect the passer-by from Mistral, a cold north-westerly wind. Here and there some locations are decorated with Indiennes, printed textiles with bright colours. They were made by a factory which was founded in 1806 at Tarascon.